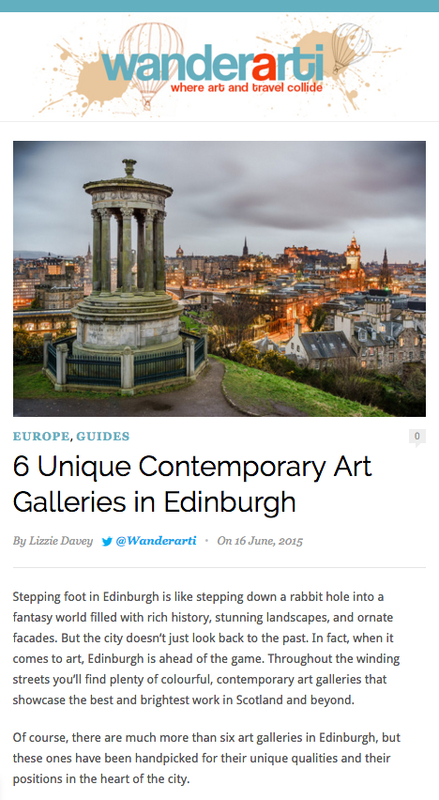 Urbane Art Gallery got an excelent review as one of the 6 unique spaces in Edinburgh for Contemporary Art alongside the Fruitmarket Gallery and Dovecot Studios. Lizzie Davey from Wanderarti wrote: "Urbane Art Gallery is one of the most cutting edge spaces in the city." To read the full review visit the Wanderarti website here.